I had this car seat for my youngest and I just loved the ease of the mesh hood, previous ones i’ve had didn’t have this so I found it great! I did think it was better with an added newborn insert when baby was newborn. It comfortably lasted until around 9mths. We are currently using these for our twins and think they are fantastic, they are comfortable for them and fit perfectly in our cars without being too bulky. They also attach onto our pram adapter which works well for us having twins. They are lovely quality and definitely designed to last. 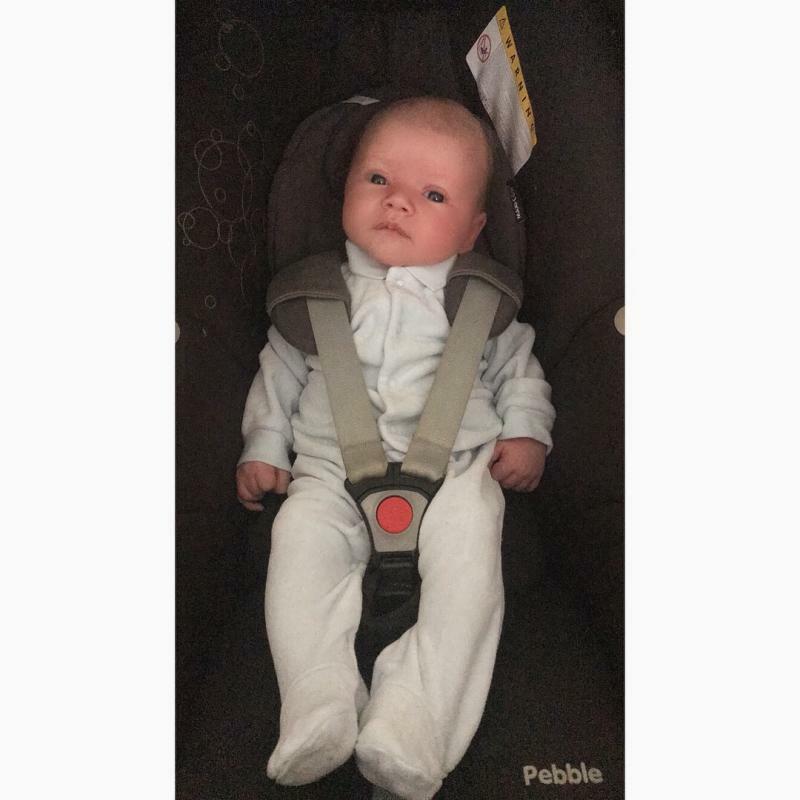 The Maxi-Cosi Pebble is one of my essential baby items, I have used one for all three of my children and would do so again. It’s so easy to clip onto the isofix base, either the FamilyFix or the 2WayFix. It can also be used with a seat belt if needed. It can be used with most travel systems, perfect if you need to quickly run errands with the pushchair but don’t want to wake your baby. The buckle has a clever spring so that it flips down and out of the way when putting baby into the seat, so you don’t end up sitting them on the straps. You’ll need to buy the adaptors for your travel system to make it fit, at a cost of around £30. The cover cannot be removed, making cleaning tricky. A fantastic car seat which is versatile and will make your life a little easier when travelling with a baby. The pebble has been perfect and used for both my boys. It’s a lot lighter than a fair few car seats and not too hard to put in if your not using a base. To make the purchase better I’d suggest including a rain cover to protect babies during bad weather when needing to transfer baby from car to destination also it’s helpful for when using the car seat on a travel system. Over all I think it’s a very good purchase. Overall it's a very nice car seat my baby always goes to sleep when used out and about in the car seat so it must be pretty comfortable I use mine with the oyster max 2 with the adapters (extra cost) and its fabulous very sturdy no rocking around which I like as I dont want my baby being shook about, easy to clean the only thing that would make it perfect is that the sunshade can be fixed more securely as it has come off and could hurt the baby as it comes off easy if knocked. It is compatible with many prams and pishchairs making life easy for a quick trip into the shop. It is so much easier to use with the isofix base and as a parent I feel safe with this as it is fixed and unable to move u like seatbelt fixture. The car seat is very comfortable for baby and straps are easy to use. Fabrics also are very easy to remove and wash.
Not too heavy, and went well with our pram. Heavy, but only as baby get bigger! 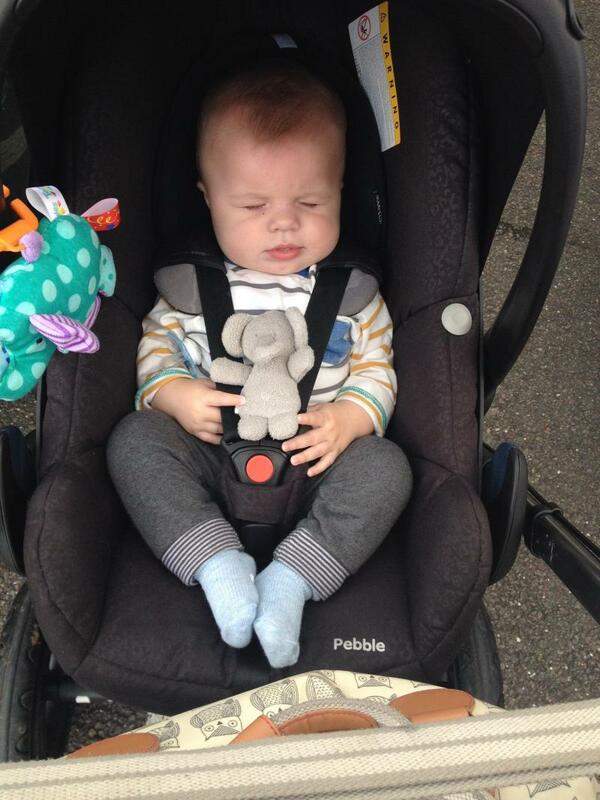 Our maxi cosy pebble car seat and would definitely recommend to a friend! We will be using it for baby no2! Loved it! used from birth fit my daughter lovely and very comfortable, its quite heavy but lasted until she was 6 months, design is lovely and lasted well. It’s a very sturdy car seat. I love that you can take down the cover. It’s very heavy without a baby in it- but aren’t they all!! I love our carsest- fits lovely in our in. We haven’t got isofix. I love that you can take the hood down- my little one loves looking around. It’s a very study Car seat the only weakness is that it is heavy without a baby in- but aren’t they all!! Bulky to carry... but aren’t they all? Smashing little car seat. Dead easy to fit baby in and tighten smoothly around baby. Adjustable straps and newborn wedge, so it’s suitable for small babies. 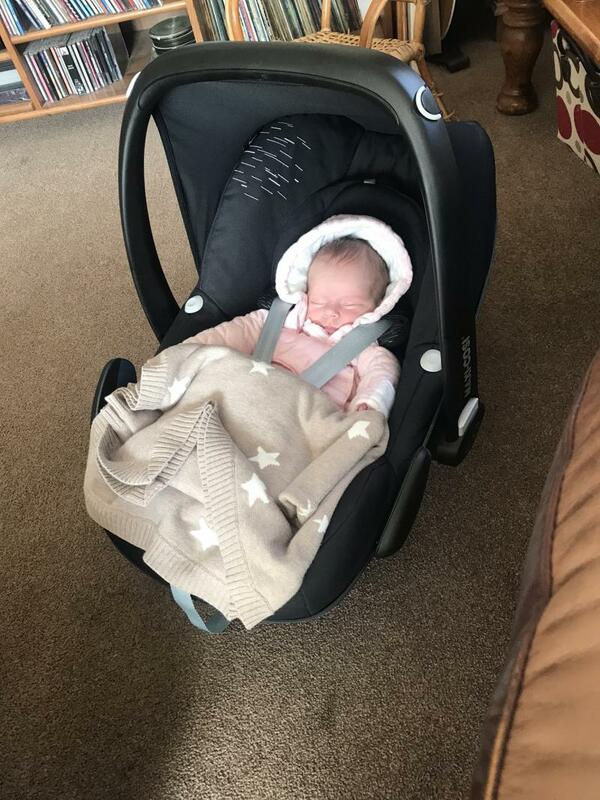 We have adapters so it can click into our silvercross pram sustem and we use the maxi cosi isofix base so super easy to transport baby around. 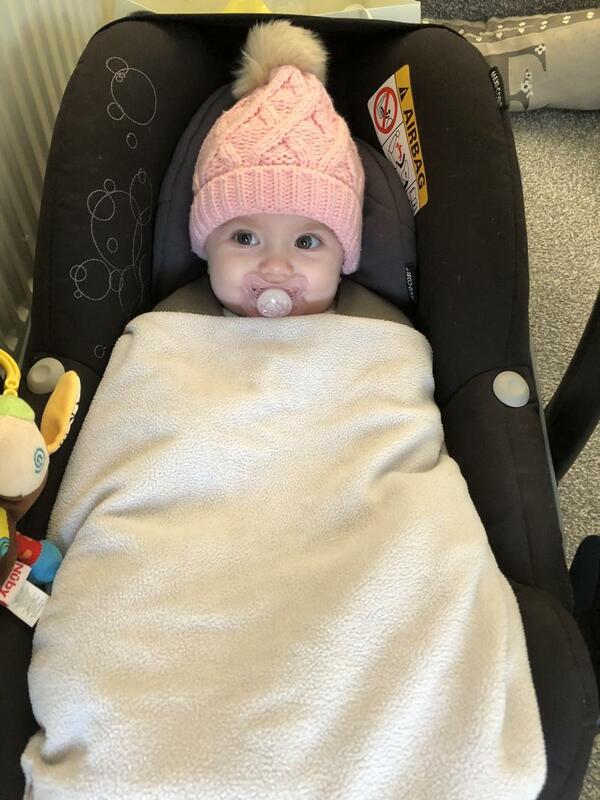 Comes with a rain hood which is hidden away in a little flap at the back of the car seat - so you’ll never be caught out when you’re out and about! 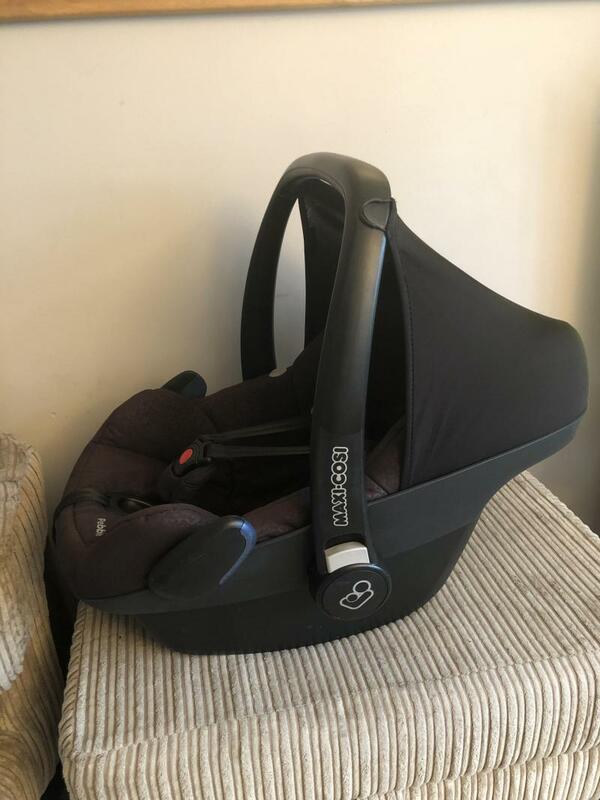 great Car seat as it is easy to use, the coverscome off to wash and is easy to drop onto the maxi cosi pushchair frame using the adapters. Has a hood to pull up to keep sun off or rain if it’s drizzling. Overall good but is quite expensive as there are others on the market that will probably do the same for cheaper. Not to heavy to carry compare to others, I love the little sun cover that pulls out the back. The baby insert could be slightly bigger for new borns. I love the pebble , I had this with my second born. The hidden sum over also works well as a wind protect when nipping to the shops etc. I liek that you can get it on offer in many retail outlet with the isofix base too. This is a fantastic chair for a newborn baby, my little one was premature and tiny and still managed to look comfortable in this seat,used till he was around 6 months. Button release when used on pram is a little difficult. 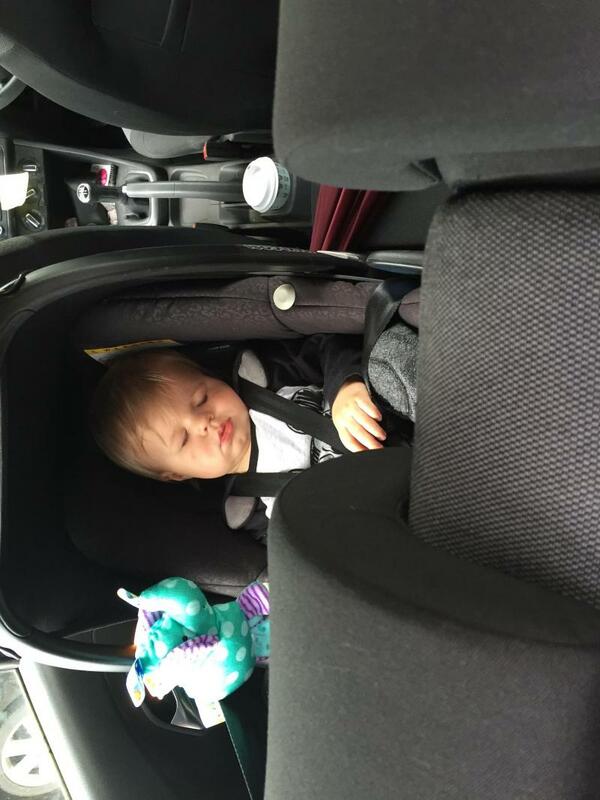 I love my pebble car seat used with the isofix base it’s really easy to get in and out of the car. It’s fairly light compared to some of the others out there. Loved the new born inserts really made a difference. I fell like he is really safe in this car seat. I had this seat with my first I loved it and felt my baby was very secure. I constantly struggles with the Button to realise the seat from travel system, the sun visor I didn’t feel covered enough of the baby to be worth using. The straps I found very unreliable when it came to loosening them, at times it could take a good few minutes to manage it. For my second baby I changed to the cabriofix. Can’t fault the maxi cosi pebble really, expensive but who can put a price on your child’s safety! Only thing I would like is a chest strap included to keep in the right position and I think they just look more secured. I loved my pebble. The newborn insert is great for the first few weeks when they are still tiny. We bought the adapters to allow the car seat to clip easily onto a bugaboo chassis which made quick trips like the school run so much easier! 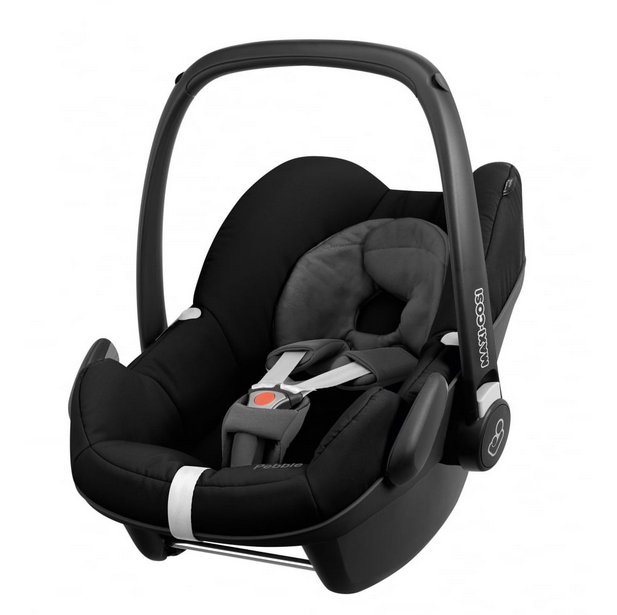 With the Maxi-Cosi Pebble baby car seat, you can drive your baby home safely and comfortably. Compatible with any Maxi-Cosi or Quinny pushchairs, the Pebble just clicks onto the new 2wayFix Base or FamilyFixIsoFix Base. It can also be installed in the car with the EasyBase2 belted base or fastened onto the car 3-point seat belt. 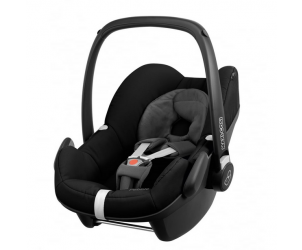 When used with the 2wayFix Base or FamilyFix Base the Maxi-Cosi Pebble car seat offers IsoFix safety and simplicity. It also features light and sound indicators to confirm correct installation and a stay-open harness.